The Oxenhope Cross, West Yorkshire. Os grid reference: SE0311 3521. 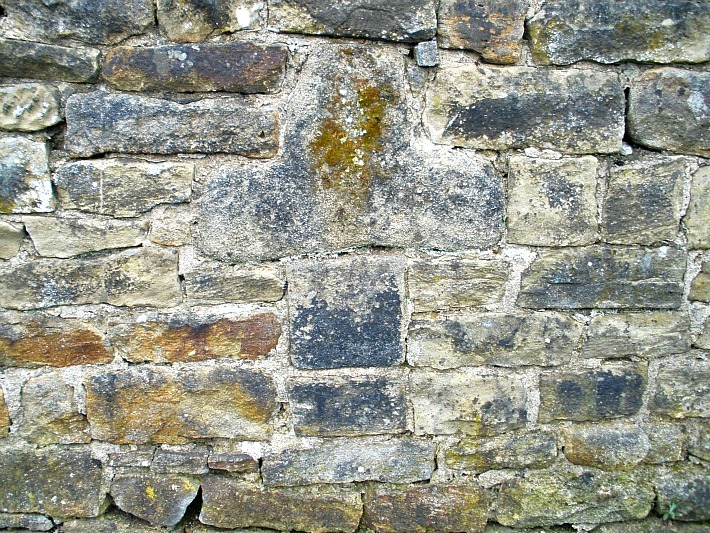 Built into a wall near the top of Cross Lane close to the C of E primary school at Oxenhope, West Yorkshire, is an old stone waymaker known locally as The Oxenhope Cross, because it is built in the form of a cross. However, next- to-nothing is known about its history, apart from the odd “snippet” of information saying that it was placed here so that people ‘of a Christian persuasion’ might congregate by it before any church was built for them to pray in. But did this old cross originate here, or did it come from somewhere close-by? And how old is the cross? The answer to these questions is, we just don’t know. Haworth is 4 miles to the north via Stanbury, beyond which is the town of Keighley, and Denholme is 6 miles east on the B6141. 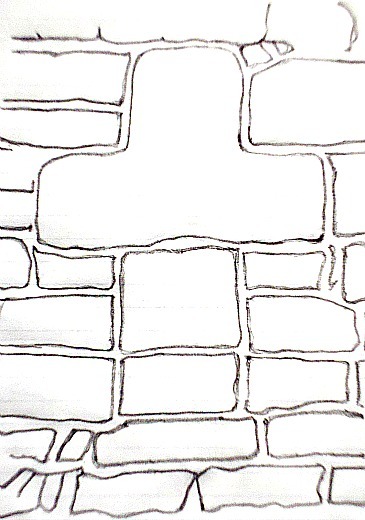 The gritstone cross is very easy to miss as it blends in well with the rest of the wall. It is formed from small, medium and large square-shaped stones, and although it is quite crude it is very effective as a cross. It would seem that the stones forming this cross were chosen carefully and then shaped in the form of a Christian cross, though without any carvings. It is about three foot high. The cross-shaft looks as if it has been broken at some point in the past, before it was set into the wall. The Oxenhope Cross from a different angle. Here people would congregate and pray before any church in Oxenhope had been built [ie 1836]. This waymarker acted as a sort of signpost for people who had walked as far as Haworth to worship in a church. 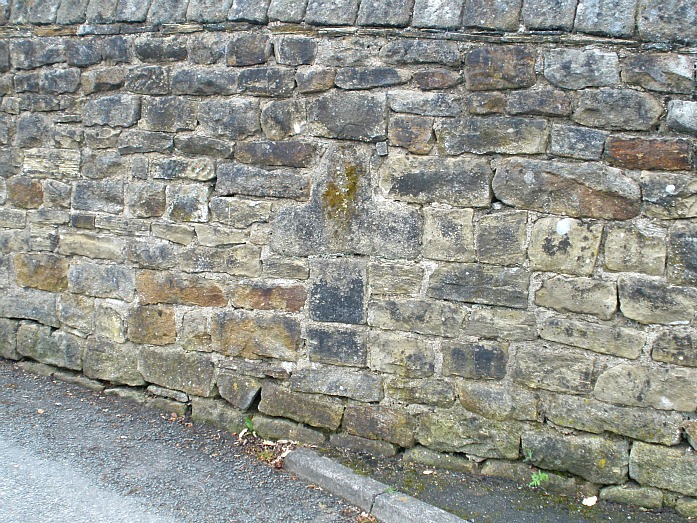 At the north-west side of the village is the area called Cross Fields, could this be where the cross originally stood, before it was built into the wall on Cross Lane – we may never know. The first record of the cross comes from the early 1830s, but there is nothing known about its age, or history, though it could be a 17th or 18th century waymarker, of which they are several on the moors around here, some having carved inscriptions and crosses, but then again that’s just conjecture. Categories: Ancient Crosses | Tags: The Oxenhope Cross in West Yorkshire | Permalink.